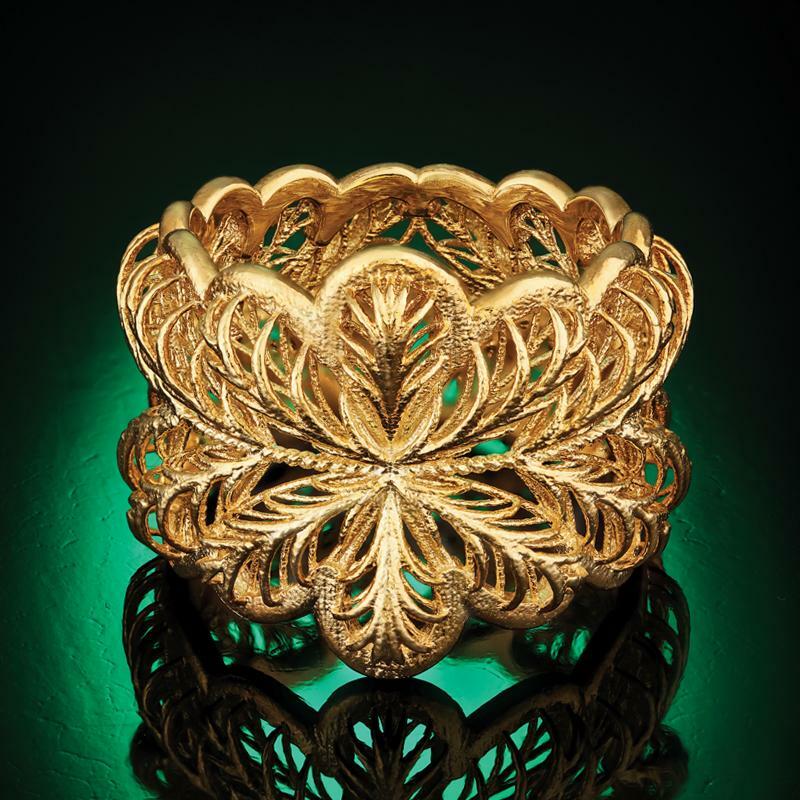 In the right hands, precious metal can indeed be transformed into something so intricate and delicate that it no longer resembles metal, but something entirely different and entirely beautiful. The Trina Italiana Collection is the latest stunning creation from a group of talented artisans in Arezzo. They are pioneers in the cutting edge 3D printing technique that enables them to create exquisite, seemingly-impossible designs out of precious metal. 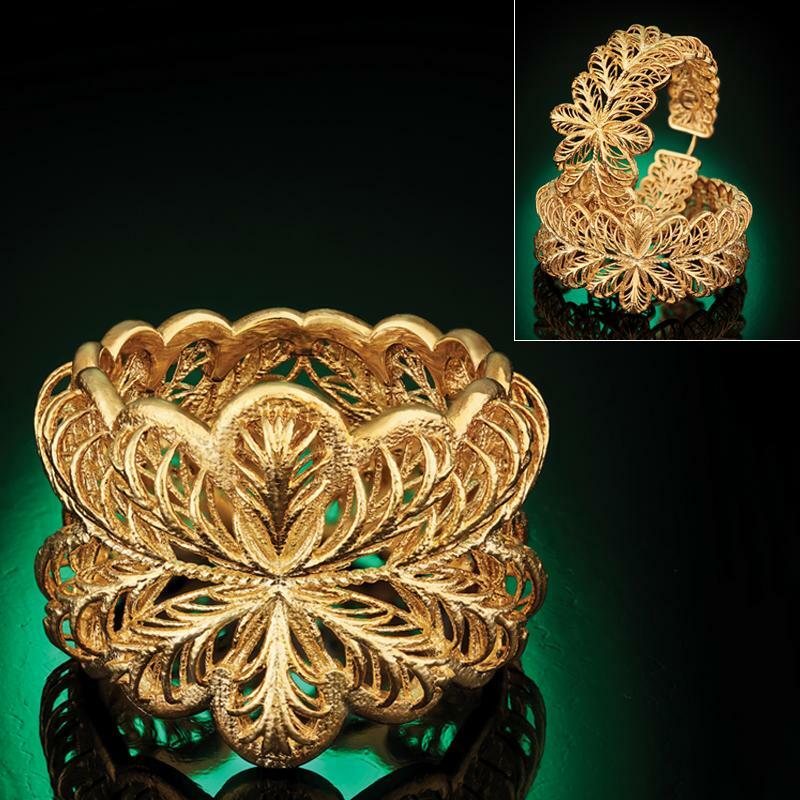 Sterling silver drenched in Italian gold can easily be taken for “Point de Venise”–– a Venetian needle lace from the 17th century characterized by scrolling floral patterns. 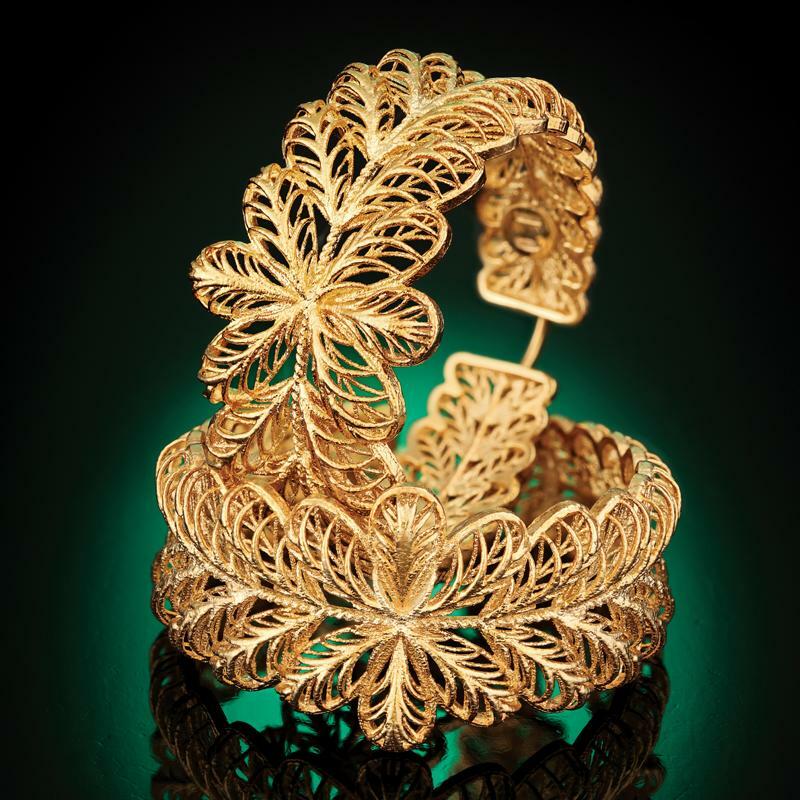 While our artisans are pioneers in innovative metalwork, we’re pioneers in making in the finer things in life affordable. Which is why we gave this collection a transformative price.